Elmwood Planataion dated back to 1762. It was built by Nicholas Chauvin, for the first American governor of Louisiana, W.C.C. Claiborne. The two-story mansion was a fixture on the river, just above New Orleans. The house caught fire in 1940, causing heavy damage. The house was re-built as a single-story building. In 1962, a group of investors acquired the house, refurbished it, and opened it as a restaurant. Elmwood Plantation was popular out-of-the-way dining destination from the 1960s to the 1980s, when a second fire destroyed the restaurant. 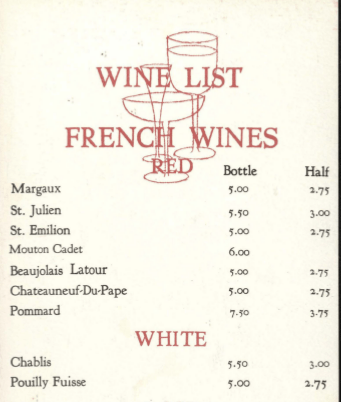 The image is a copy of the menu, from the State Library of Louisiana’s menu collection. It dates from the late 1970s. View the entire menu (PDF) here. Portion of Elmwood Plantation’s wine list. Wines are offered by location in France. For the Bordeauxs, there’s no breakdown by winery or vintage. 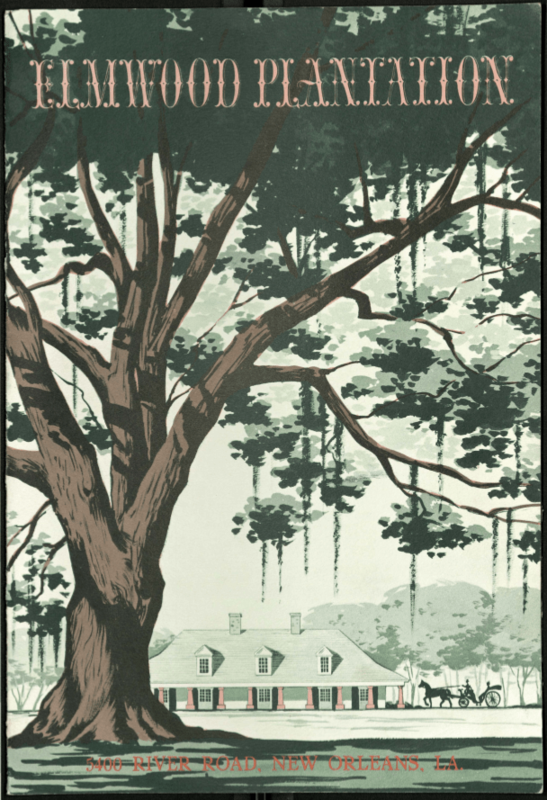 There’s a good section on the history of Elmwood Plantation in the book, Lost Plantations of the South, by Marc R. Matrana. Sazerac Cocktail, courtesy Chuck Taggart’s Gumbo Pages. I’m a big believer in oral history. It’s a critical part of researching any subject. The biggest problem with oral history is that it’s difficult to assess it’s value when trying to establish a timeline. Memories fail, people deliberately change stories for various reasons. It can get complicated. What concerns me, though, is when a writer outright disregards oral history, without an explanation of why they’re doing it. That’s the feeling I had when reading Todd Price of NOLA.com write-up of a Tales of the Cocktail seminar on the Sazerac cocktail given by David Wondrich of Esquire Magazine. The title of the article is Everything you know about the Sazerac is wrong, Esquire writer says. Well, I wrote a short article on cocktails for GoNOLA.com last summer, so I considered that, challenge accepted. 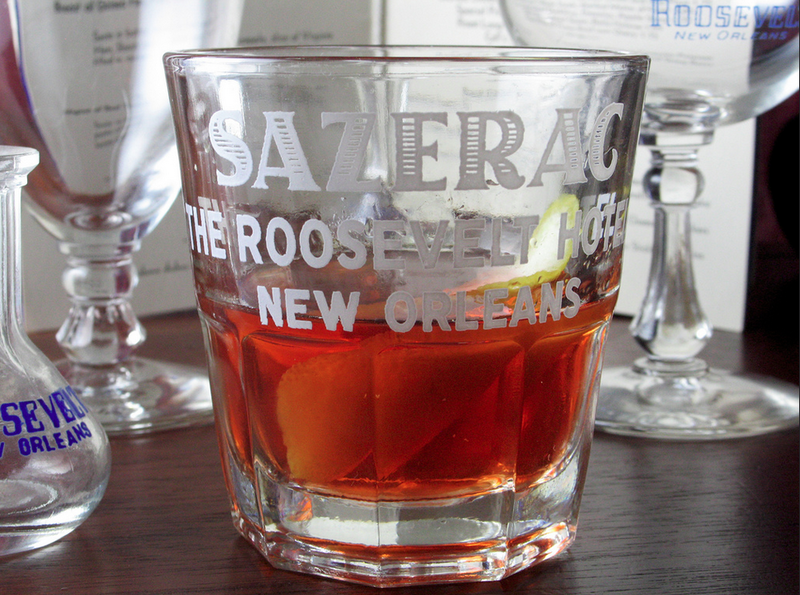 Wondrich has come to New Orleans before and tried to kill myths about the Sazerac. In the past, he has cited solid proof, despite what the tour guides will tell you, that the Sazerac was not the first cocktail. Hardly anyone in New Orleans seems to listen. The standard story, which you will find on the website of the Sazerac liquor company, is that by the middle of 19th century, the Sazerac cocktail was a popular and recognized cocktail using Peychaud’s bitters. Originally made with a defunct brandy called Sazerac de Forge et Fils, in 1873 the recipe substituted rye and added a dash of absinthe. The cocktail, according to the oft repeated story, was created at the Sazerac Coffee House. 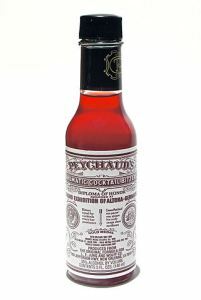 Peychaud’s cocktail is widely regarded as the first cocktail invented in America, but he did not give the drink its well-known name, the Sazerac. The name comes from “Sazerac de Forge et Fils” brandy. In the 1840s, a local coffee house, the Merchants Exchange Coffee House, located in Exchange Alley in the French Quarter, picked up Peychaud’s bitters and his cocktail. The owner of the coffee house, Sewell Taylor, decided to use only Sazerac de Forge et Fils in the drink, so people began to ask for the “Sazerac Cocktail.” By 1850, Taylor saw more potential in importing the brandy than owning just one bar. He sold the coffee house to Thomas Handy, who moved the bar to Royal Street, changing its name to the Sazerac Coffee House. After a few years, it becomes the house special. People likely came in and asked for the speciality of the house. Didn’t need to call it a “Sazerac” when you were in the Sazerac. Then Sewell Taylor sells the bar to Thomas Handy. Handy moves it and changes the name, putting “Sazerac” front and center. Did the name spread from there? Sure, westward expansion makes sense. Bismarck, ND was founded in 1872 (so was the Rex Parade, by the way0. I can see someone from New Orleans making their way out west and bringing a bit of home with them. Twenty to thirty years (including a civil war) is enough time for the name to get around. The cocktail continues to grow in popularity, at least in New Orleans. Men go into other “coffee houses” and tell the bartender, “Give me that drink they make over at the Sazerac.” At some point, the name of the bar and the cocktail merge. Probably around the same time somebody from New Orleans made it out to Eureka and Bismarck. Curiously, the recipe for the bottled Sazerac included maraschino liqueur and no absinthe (see recipe below). That same drink was what the legendary bartender Jerry Thomas called an Improved Whiskey Cocktail in his 1876 cocktail book. The Improved Whiskey Cocktail was all the rage at the end of the 19th century. By 1900, the fashionable drinkers had moved on to other intoxicating pleasures. The Great French Wine Blight was a severe blight of the mid-19th century that destroyed many of the vineyards in France and laid to waste the wine industry. It was caused by an aphid (the actual genus of the aphid is still debated, although it is largely considered to have been a species of Daktulosphaira vitifoliae, commonly known as grape phylloxera) that originated in North America and was carried across the Atlantic in the late 1850s. While France is considered to have been worst affected, the blight also did a great deal of damage to vineyards in other European countries. No brandy to make the popular cocktail? No problem, “improve” it. Use rye whiskey. By 1888, the date Wondrich attributes to a written mention of the “Sazerac”, the “improved cocktail” was at least twelve years old. People keep asking for “that drink”. By the 1900s, the liquor company decides to bottle the drink, Applications have to be filled out, paperwork processed. You don’t want a patent application to be denied for exaggeration, so go with a date easy to establish. That doesn’t mean throw out the oral tradition. Now I want a Sazerac.